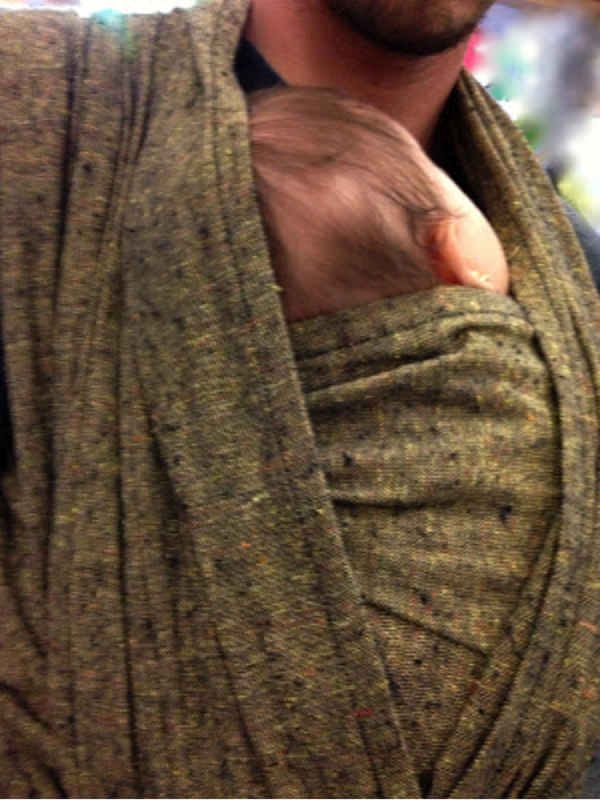 Babywearing with a social & environmental Impact. Babywearing social project. In its simplest form, AYU began as a purveyor of unique beautiful, safe and comfortable hands free baby carriers, some of them decorated with indigenous adornments, capable of maintaining a close bond to the child. Today, AYU has developed into a sustainable business concept in Colombia, and all over the world, with baby carriers at its core and far reaching social and cultural implications. AYU is not just about selling baby products; it is an idea conceived by a mother for new parents, that has developed a unique network of women working together on post-natal and child rearing initiatives. 1. Works with women communities in Colombia. 2. Promotes sales through foundations that benefit from the sale of products and works with entities that offer protection to underprivileged children via educational activities. 3. 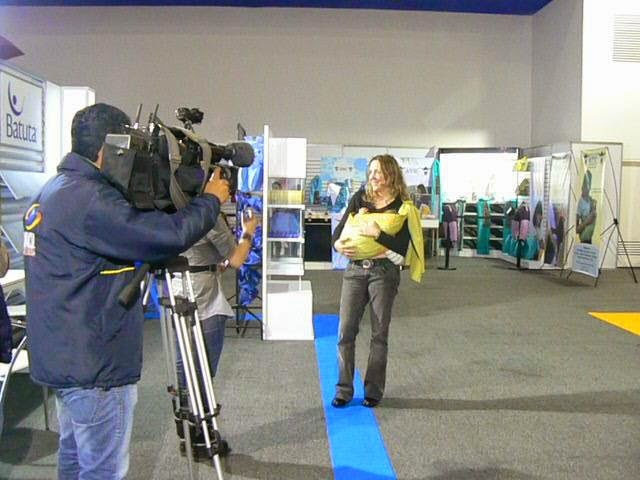 Single and stay at home parents to sell baby carriers, obtaining them for a low cost. 4. 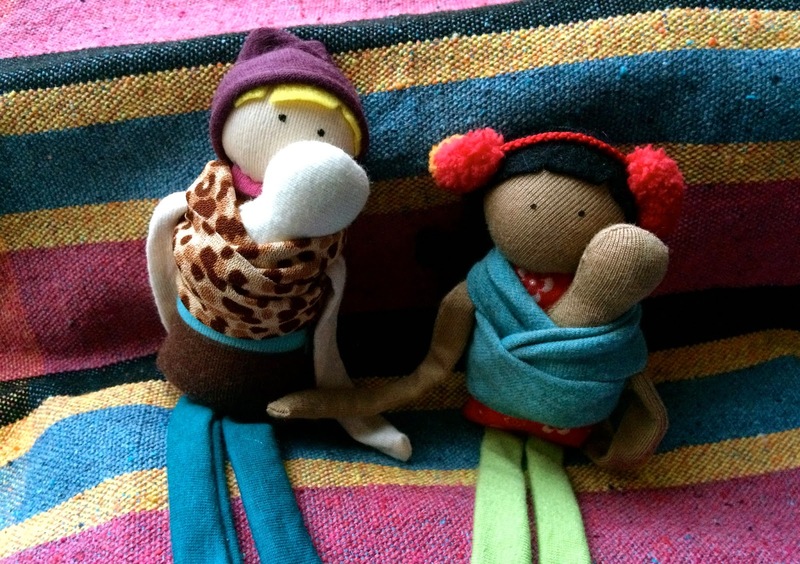 Protects the environment working with Ecofriendly fabrics and taking raw material excess from the production process to make babywearing dolls and help single mothers who makes them. 6. 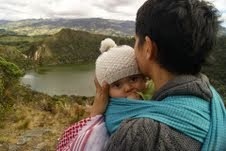 AYU’s blog, named "Nenes de leche" (where you are right now), provides information about breastfeeding, babywearing and parenting, supported by professionals. Some of AYU’s baby carriers are uniquely differentiated because of the original adornments made by groups of women of Colombia. Some of them have been caught in the crossfire of Colombia’s war between guerrilla groups, paramilitaries, drug traffickers and the government. Weaving is part of their lives and a means to express their creativity and wisdom and by working with them, AYU has learned about this sacred and ancestral art. Their pieces are characterised by shapes that symbolise elements of nature, animals, plants or abstract shapes. Working with AYU has given this community an unprecedented opportunity to show their heritage and magic to the world. AYU buys material directly from them without any intermediates. In forging this entrepreneurial alliance, AYU has been able to harmoniously bridge modern business with important indigenous cultural values and create a unique community of women challenged by a common goal. Kids from "Hogar Rompiendo Cadenas foundation in Colombia"
AYU promotes sales through entities that benefit from the sale of products. The program includes foundations that offer protection to underprivileged children like "Escuela San Cayetano" and "Fundación Rompiendo Cadenas" via educational programs. You can see pictures from our wonderful programs with the kids here. Paramount to AYU’s core values is its focus beyond product sales: family, mothers and foundations. The "AYU Loves Kids program" is a cross-functional platform intended to support and encourage single and new parents to become active in a stay at home business model while providing outreach to children nationwide. Single, stay at home, and working parents have made invaluable contributions to the overall AYU product, both in design and in our workshops. Parallel of our social programs, we work with ecological Responsibility. 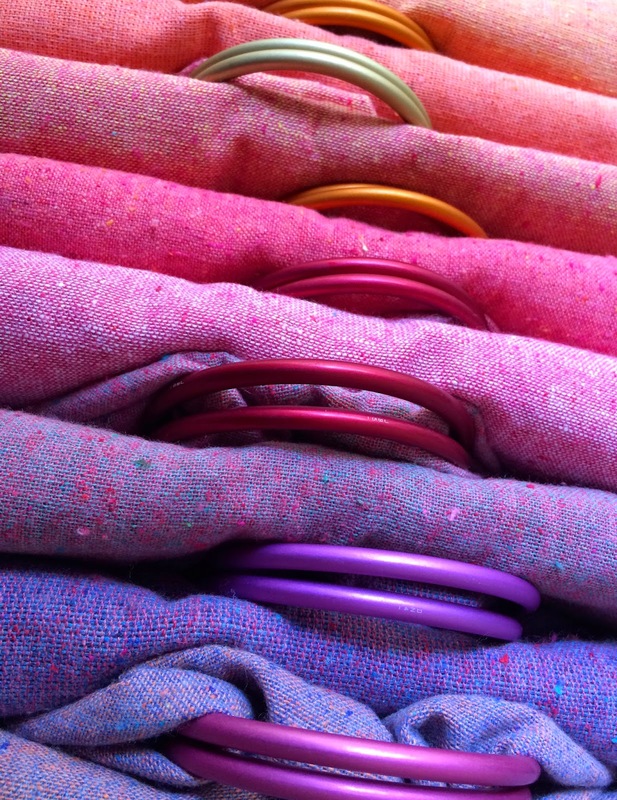 Some of our baby carriers are made ​​of exclusive fabrics created especially for us from recycled fibers. 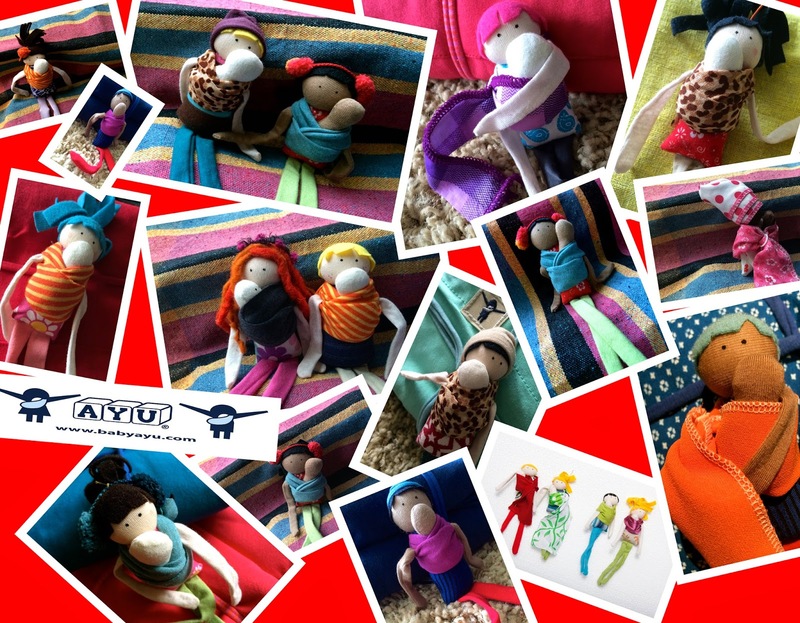 Also, in addition to contributing to the environmental preservation beautiful dolls are made with raw material from the baby carriers by single mothers that belong to "The AYU loves kids" program. TV Interview with Wayuu indigenous community, at "Rompiendo cadenas foundation"
Valeria, founder of AYU, is a mother of three, lawyer, prenatal/ postnatal certified educator, and doula. Valeria began this business by designing baby carriers to carry her babies and complement her clothing, but always conscious that with this program, there plenty of possibilities to help improve the world. Valeria is also the developer of the FTZ babywearing school in Colombia with Sonja Wermbter and Manuela Gil from Ualaby Crianza. Valeria is invited as a speaker in international conferences in USA, and Europe, with a session that explores the ways in which babywearing assists new families named "How to create a babywearing business concept with social and cultural impact with a unique community of women challenged by a common goal". ¿Do you want to donate to this wonderful project?